AdChoice LED Signs is an LED display manufacturer and the #1 direct-to-consumer provider of premium LED advertising technologies. We have a proven consultative methodology for helping our customers choose an LED advertising solution that will deliver dramatic and positive results. Our LED electronic message center (EMC) technologies and 10 years of expertise make us a valuable partner to anyone seeking to take their business to the next level. AdChoice LED Signs is a U.S. corporation headquartered in Seabrook, New Hampshire, with distribution centers on both coasts and sales offices in New Hampshire and Nevada. All of our products are designed, assembled, and fully bench tested at our facility in Plaistow, NH. Direct-to-consumer is the quickest, most affordable way to deliver effective LED EMC advertising technologies to our customers. AdChoice LED Signs has the expertise to guide you to the right product, the inventory on-hand to deliver it quickly, and the experience to help get it up and running. With a track-record spanning over a decade of providing state-of-the-art LED-based advertising technologies, AdChoice is your go-to LED sign company. Our reputation has been built on the quality of our products, the responsiveness of our technical team, and the integrity of our business practices. Once the consultation process is complete, AdChoice LED Signs moves forward with the customer on the financials, working within any budget. AdChoice LED Signs teamwork doesn’t end at the point of sale. We strongly believe in a continued relationship for success, and we’re only a phone call away, whenever needed. We stand behind our products with a money back guarantee. * Any sign procured through a lease is not eligible. ** Offer void if installation photos are not received within 45 days of receiving signs. AdChoice LED Signs can provide the power of LED electronic message center (EMC) advertising without a large, upfront investment. 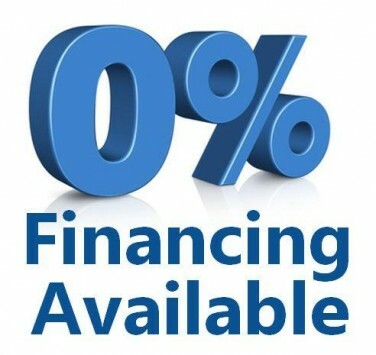 We offer a variety of financing solutions, including 0% Instant Financing*, to help make the investment easy. By taking full advantage of our financing options now, allows for immediate an increase in awareness and revenues. What does that mean? Essentially the sign will pay for itself overtime. What could be better? Our financing options can help with competitive rates and a simple application. Financing your AdChoice LED Sign can be a great way to preserve your cash flow, and we offer financing solutions tailored to your needs. To contact us for more information on how to use our financing programs to your advantage, Click Here.